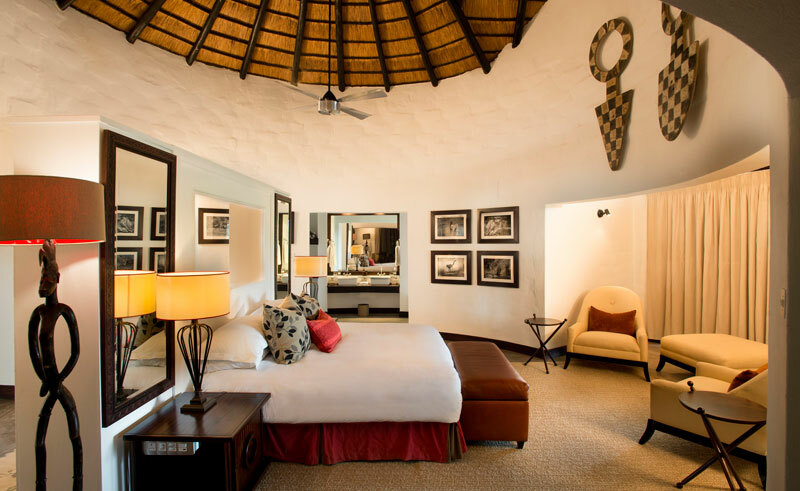 Six thatched suites are spaced along the river bank, their elegant design and natural colours blended with African flair. 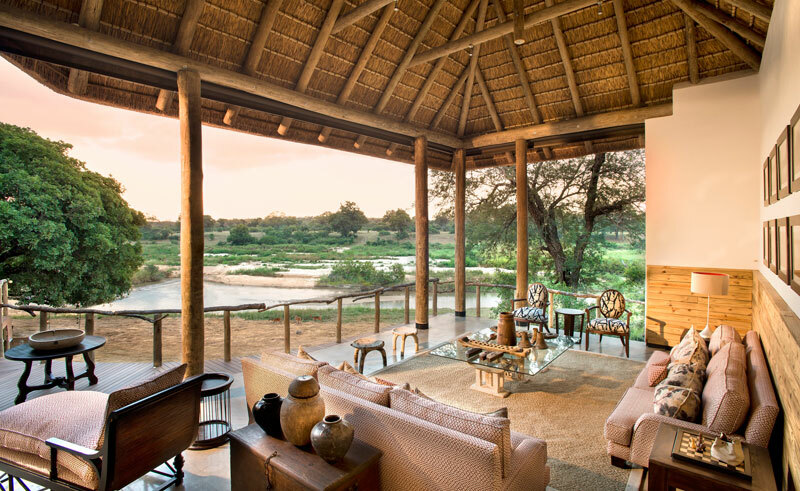 Private wooden verandahs, plunge pools and outdoor showers overlook the Sand River. 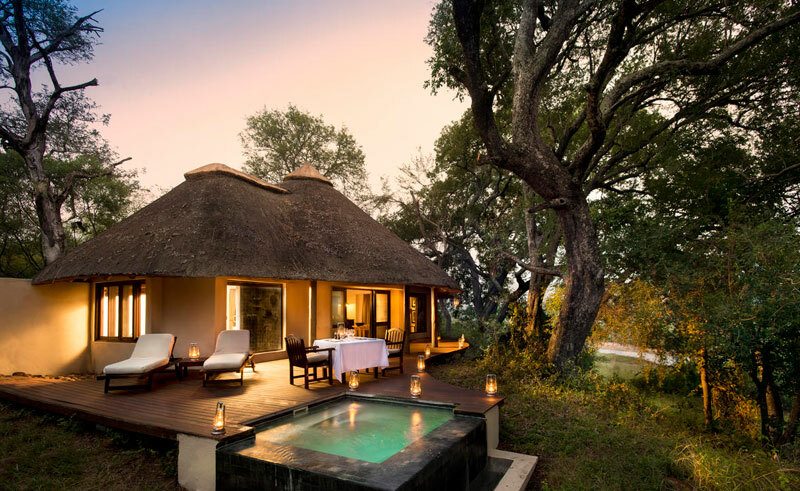 Comfortably furnished and featuring extensive decks, the lodge is an appealing place to relax while appreciating the beauty of the setting. 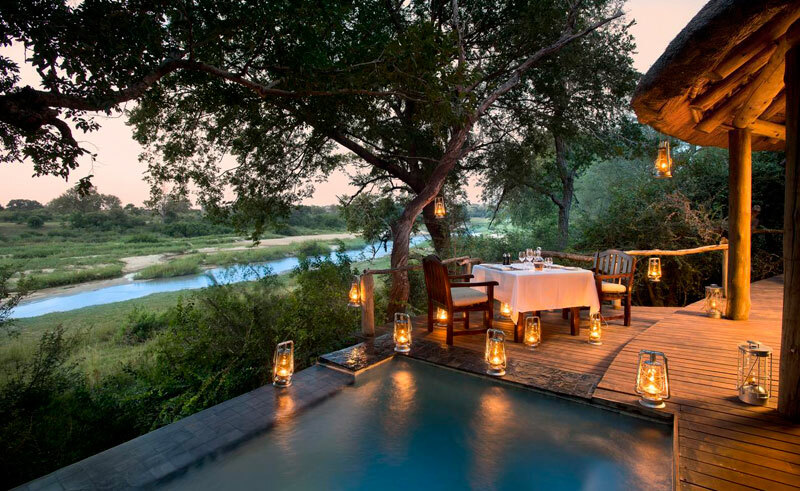 Meals are served under the African skies in the boma, where the sounds of the bush mingle with the laughter of the guests.